On October 31, 1912, Oliver Martin Johnston, Jr., was born in Palo Alto, California. His father was a professor of romance languages at Stanford University; it was in the Stanford art department that Johnston met Frank Thomas, who became his lifelong friend and co-animator. In his senior year, Johnston transferred to the Chouinard Art Institute in Los Angeles. In 1935, he joined the Walt Disney Studios as an inbetweener on Mickey Mouse cartoons, and worked on early shorts that included Mickey’s Garden and The Tortoise and the Hare. Johnston worked on Snow White and the Seven Dwarfs as an assistant animator. His animation roles soon grew and he got the plum role of directing animator of Bambi and Thumper in Bambi, the evil stepsisters in Cinderella, Mr. Smee in Peter Pan, and the three good fairies in Sleeping Beauty, among others. He retired in 1978, with his last film being The Rescuers, in which he was caricatured as Rufus the cat. With Frank Thomas, Johnston published the book Disney Animation: The Illusion of Life, which discussed the 12 principles of animation. This book has become a staple in the study of the techniques of animation. Johnston was also known for his love of model trains. He built his first backyard railroad in 1949, and inspired Walt Disney to become involved in the hobby himself. 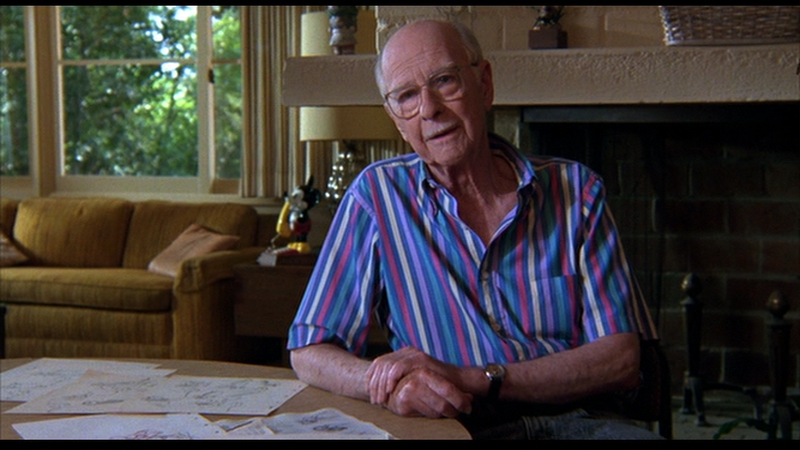 Johnston was named a Disney Legend in 1989; as the last surviving member of the Nine Old Men, Johnston was awarded the National Medal of Arts in 2005. He passed away on April 14, 2008. Posted in Uncategorized and tagged Animator, Births, Disney Legend, Nine Old Men. Bookmark the permalink. 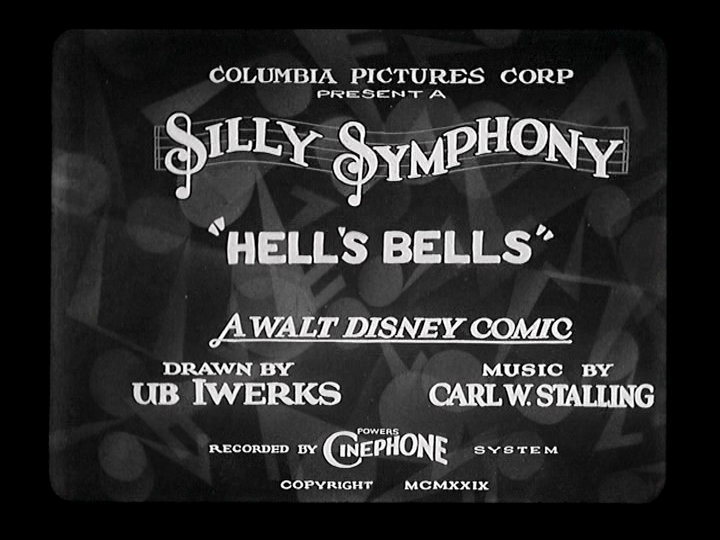 On October 30, 1929, the Silly Symphony short film Hell’s Bells was released to theaters. 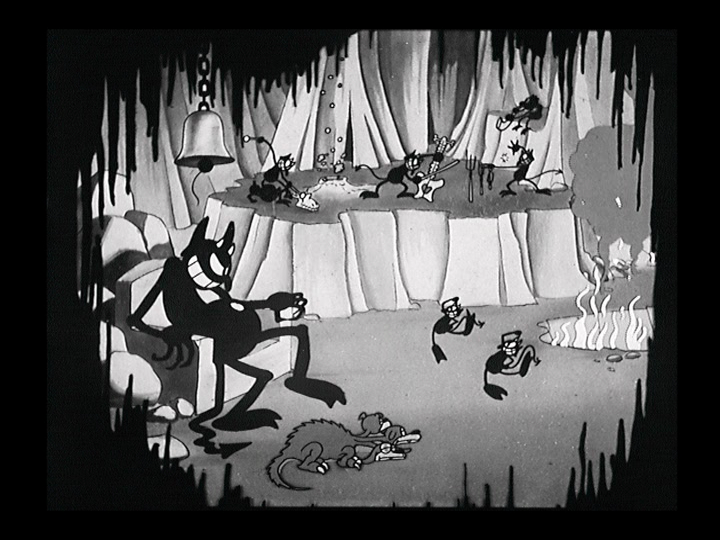 The short was drawn by Ub Iwerks, and is also notable for being Iwerks’ first foray into directing. The music for the short was done by Carl Stalling; the piece heavily featured in the short is “Funeral March of a Marionette” by Charles-Francois Gounod. The short first erupts into a blaze of fire, which reveals an underground cavern populated by bats, spiders, and other strange creatures that introduce themselves to the camera one by one. Satan is then seen sitting in his chair, being entertained by dancing musical demons, who use skulls, volcanoes, and even each other to create the music. A troupe of demons also dance around merrily, with comical results. Satan claps with delight before ringing a bell, alerting the other demons to bring their master dinner. After enjoying his dish, Satan grabs a demon and feeds him to his three-headed dog, laughing at the result. He tries to grab the other demon to feed his pet, but the demon manages to escape Satan’s grasp, sending him flying into the fiery pits below. “When I was working at Disney, I designed something that’s sort of the reverse of that. It’s like the Grinch in reverse, so to speak, about this character who finds Christmas and loves it and decides to try to do it himself.” – Tim Burton. 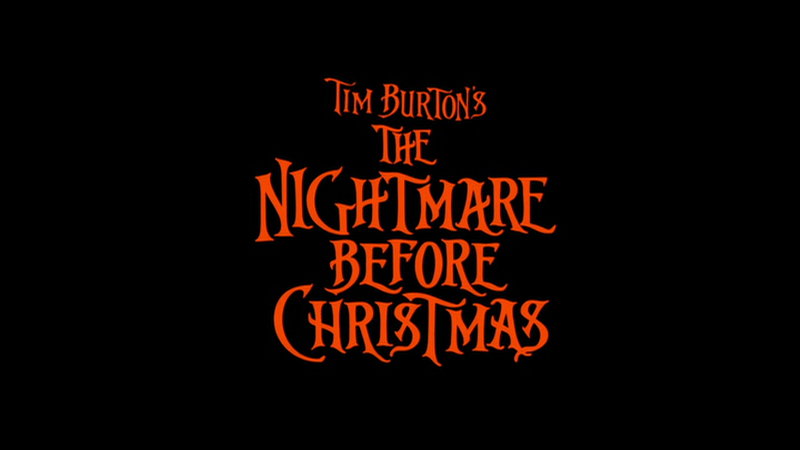 On October 29, 1993, the Tim Burton film The Nightmare Before Christmas was released to theaters, distributed under the Touchstone label. The idea for the film first began with a poem Burton created while working as an animator at the Walt Disney Studios in the early 80s. When Burton was re-hired, he asked for his treatment back, and it was returned along with his original concept sketches, which helped shape the look and tone of the overall film. The look of the film was also meant to be reminiscent of the illustrations of Ronald Searle and Edward Gorey. The film took three years to create, with the stop-motion done at 24 frames a second, and using 13 animators and more than 100 camera operators, puppet makers, set builders, and prop makers on 19 soundstages with 230 sets. The film was directed by Henry Selick, with screenplay by Caroline Thompson and Michael McDowell, music by Danny Elfman, and story by Tim Burton. It stars Chris Sarandon as Jack Skellington (with Danny Elfman providing his singing voice), Catherine O’Hara as Sally, William Hickey as Doctor Finklestein, and Ken Page as Oogie Boogie. The film was originally released under the Touchstone Banner, due to Disney’s fear that the film was too scary for children. After the film became a critical and financial success, the film was distributed by Walt Disney Pictures. 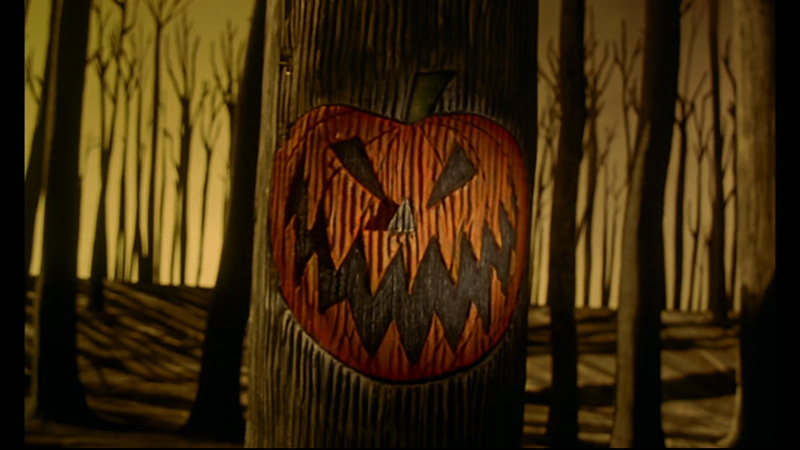 The film begins with a look at a forest with a circle of trees, with each tree decorated with a door representing a different holiday. The door for Halloween opens, with the residents of Halloween Town celebrating after another successful Halloween night. A rag-doll named Sally is among the residents watching the celebrations, but is quickly retrieved by her creator, Dr. Finklestein, although she is able to escape by unstitching her arm. Meanwhile, Jack Skellington, known as the Pumpkin King, leaves the celebration early, feeling melancholy and bored with Halloween. Sally, harboring a secret crush on Jack, watches him as he wanders through the graveyard, before she returns home to retrieve her arm. 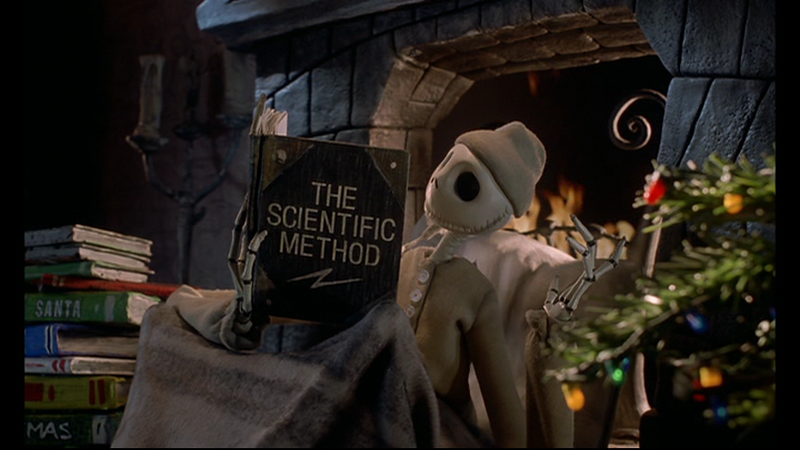 That night, Jack is reading up on all the stories of Christmas he can find, and decides to use science to come up with a better explanation. He borrows equipment from Doctor Finklestein, and sequesters himself in his home, much to the worry of the town. Jack comes to the conclusion that he and the members of the town will take over Christmas. Sally has a terrifying vision of Jack’s Christmas, which she believes will only end in danger for him. She tries to warn him, but he reassures her that his Christmas will be just fine. Jack also runs into problems with Lock, Shock, and Barrel, Halloween Town’s finest trick-or-treaters, who also work for Oogie Boogie. They are tasked with kidnapping Santa Clause, and although they promise to leave Oogie Boogie out of it, they plan to give Santa to him instead of Jack. The night before Christmas arrives, and Jack is ready to go out as Santa Clause. 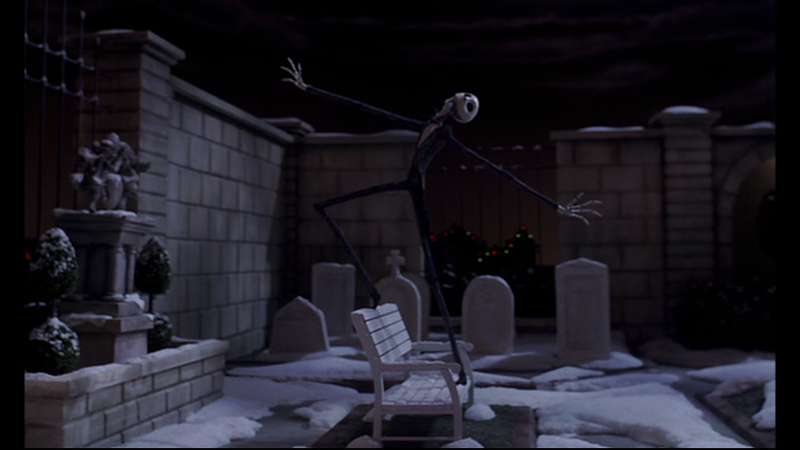 Sally tries to prevent him from heading out by covering Halloween Town with a thick fog, but Jack’s dog, Zero, has a glowing red nose to light the way, so Jack lifts off into the sky to claim Christmas as his own. Lock, Shock, and Barrel, capture Santa, are told to make him “comfortable,” which to them means taking him to Oogie Boogie. As Jack travels all around the world, his Christmas is considered an unmitigated disaster, with the military being mobilized to take the “imposter” down. When Sally tries to rescue Santa from Oogie Boogie, she is captured. The town, which has been watching Jack’s journey, sees Jack being shot down by cannon fire and announce that Jack has been blown to smithereens. Jack, still alive, begins to rethink what he’s done. Ashamed at the turmoil he’s caused, he realizes that he has a new zest for being the Pumpkin King, and heads back to Halloween Town, determined to set everything right. First he rescues Sally and Santa from Oogie Boogie, reducing the villain to nothing but a single bug, which Santa squishes. Santa quickly makes everything right, and gives Halloween Town a present of their first snowfall. Jack returns Sally’s affections, and the two hug in the snow-filled moonlight. Posted in Uncategorized and tagged 1990s, Academy Award Nominated, Color, Feature Film, Stop-Motion Animation, Touchstone. Bookmark the permalink. 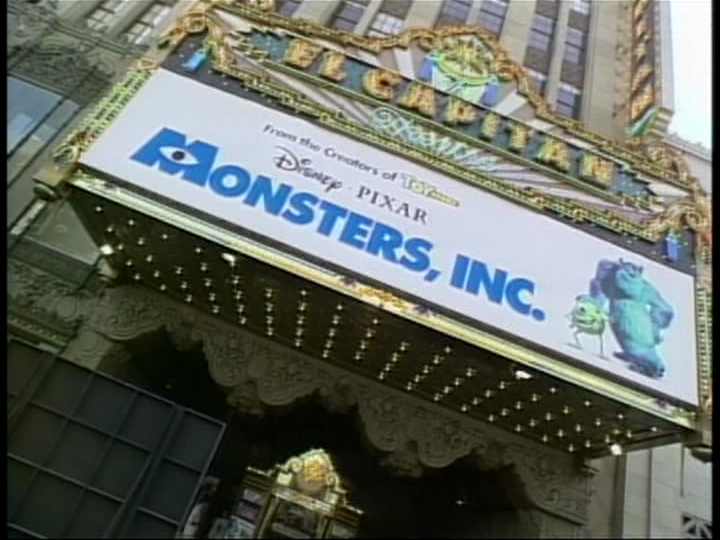 On October 28, 2001, the Pixar film Monsters, Inc. had its world premiere at the El Capitan Theater in Los Angeles, California. This was Pixar’s fourth film, and the first directed by animator Pete Docter. The screenplay was written by Andrew Stanton and Daniel Gerson. Upon its release, the film received positive reviews from critics, with most commenting on the energy and the dialogue. The film, after this initial premiere, would be released nationwide on November 2, 2001. Posted in Uncategorized and tagged 2000s, Color, Feature Film, Pixar. Bookmark the permalink. 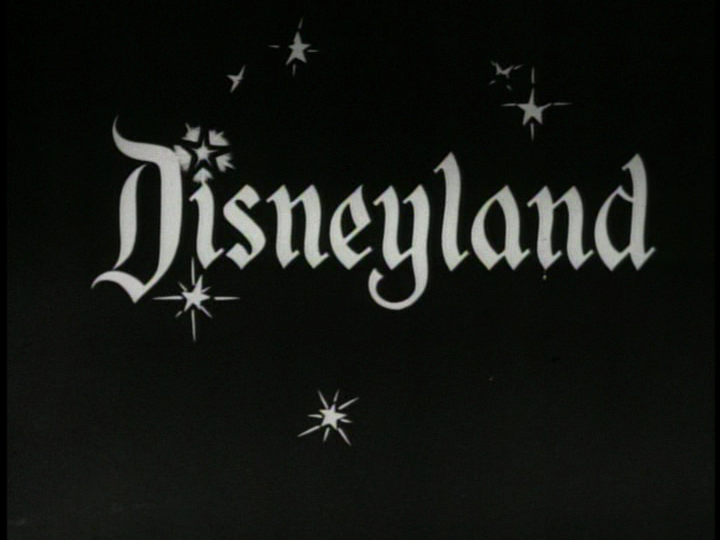 On October 27, 1954, the first episode of the Disney anthology series Disneyland premiered on ABC. The show, named after the theme park Walt Disney was planning to build, gave audiences glimpses of the dream that would become the California theme park. 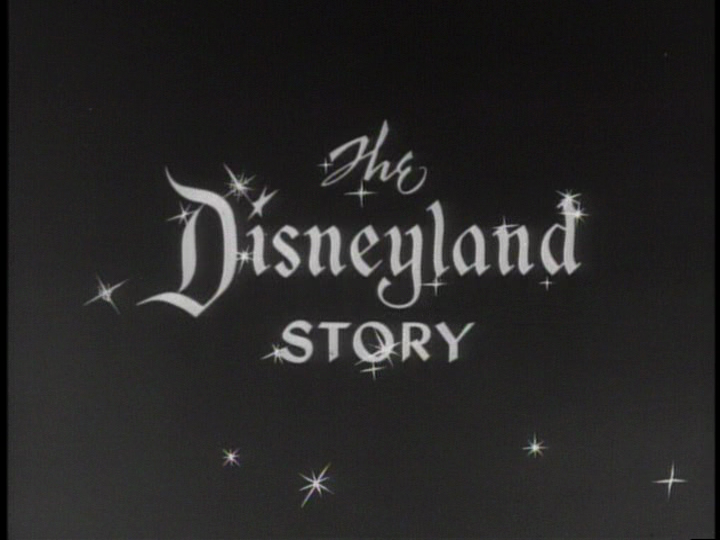 The first episode was entitled “The Disneyland Story,” and was directed by Robert Florey. When Walt Disney was in the midst of creating his theme park, he realized that the only way he could secure enough funding was to embrace the new medium of television. He struck a deal with the then-fledgling ABC network, which agreed to help provide financing if he created a weekly hour-long television show for them, with Walt as host. This show made Walt Disney a familiar figure in households nationwide, and created several staples in popular culture, including the Davy Crockett craze of the 1950s. “The Disneyland Story” begins with an aerial view of the Walt Disney Studio in Burbank, California. There is then a behind the scenes view at what is going on at the studios, including a look at the upcoming film 20,000 Leagues Under the Sea, a live-action model stage for Sleeping Beauty, and some strange music being composed in the music department. 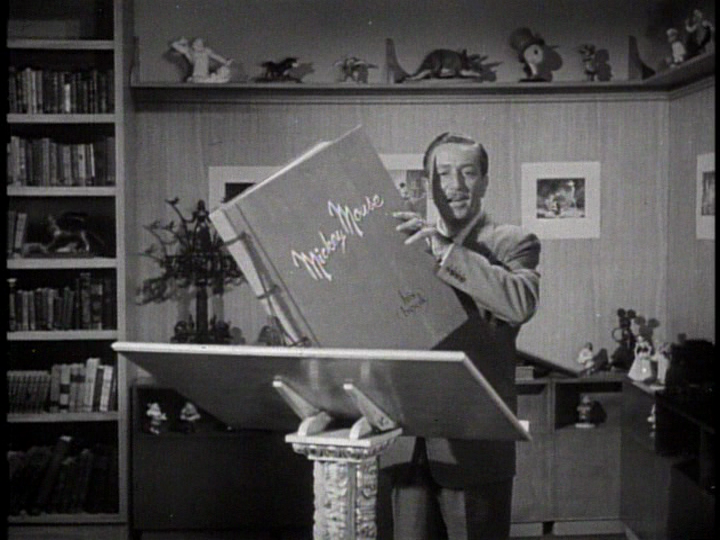 The narrator takes us to a place called the Disneyland Plans Room, where “something unusual is going on in the studio today, something that never happened before.” Walt then takes over as host, introducing his vision of Disneyland, the four worlds of the park, and the format of the four worlds of the television show. Introducing Frontierland, he then presents a segment about the Davy Crockett serial that will soon begin filming, and introduces Fess Parker, who sings the theme song. Going to Adventureland, Walt presents producer Ben Sharpsteen, who talks about the planned area and shows some films they’ve done of the Galapagos Islands, the Falkland Islands, Lapland, Morocco, and Portugal. Walt introduces Tomorrowland, and director and animator Ward Kimball explains the plans and ideas for the Tomorrowland segments, including designing and building the first passenger-carrying rocket. The last realm Disney introduces is Fantasyland, where “in this land, hopes and dreams are all that matter.” He then says that Uncle Remus would have called it a “laughing place,” which leads into the “laughing place” segment from Song of the South. To remind everyone that “it all started with a mouse,” Walt then presents the story of Mickey Mouse, starting with his humble beginnings in the short film Plane Crazy. He introduces Mickey’s friends and fellow stars – Pluto, Goofy, and Donald – before presenting one of the most important roles in Mickey’s career: the role of the sorcerer’s apprentice in Fantasia. After exploring Mickey’s career, clips are shown of the next week’s episode, a presentation of the Disney film Alice in Wonderland. Posted in Uncategorized and tagged 1950s, Black and white, Disney, Disneyland, Live Action, Mickey Mouse, Series, Television. Bookmark the permalink. 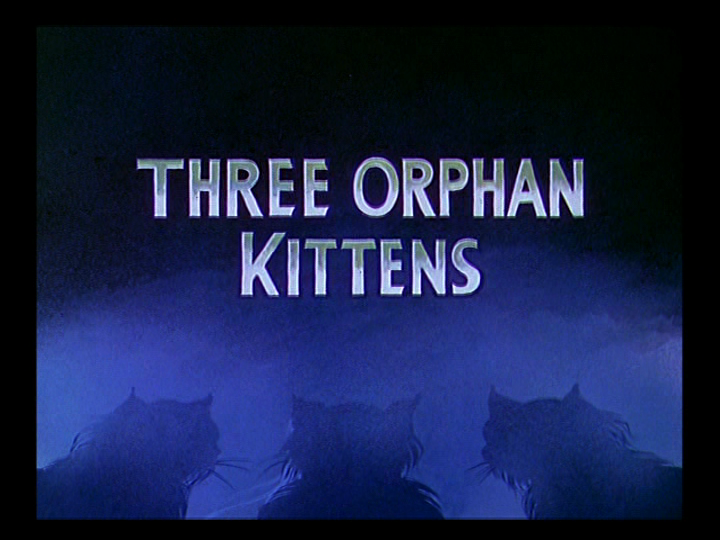 On October 26, 1935, the Silly Symphony Three Orphan Kittens was released to theaters. The short is known for its remarkable animation design and perspective by animator Ken Anderson. It was directed by Dave Hand. It’s a blustery, snowy night, and a car stops in front of a fence. A burlap bag is dumped into the yard on the other side of the fence before the car speeds away. When the bag comes to rest, three kittens tumble out of it and cuddle together in the snow. They notice an open window of the house nearby and decided to venture in to get warm. The three climb up the basement stairs and explore the house, watching as the housekeeper sings a song and brings a pie to the table. Hungry, the kittens climb onto the table, where the gray kitten is distracted by a fly. When the fly lands on the pie, the gray kitten follows it, but is startled to see some of the filling fly out of the pie. 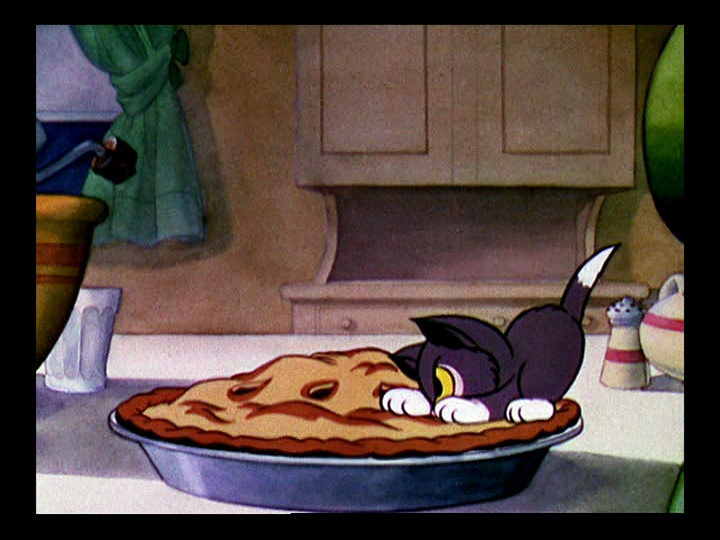 The kitten begins to fight the pie, and ends up covered in the filling. The red kitten has been licking the remaining drops of milk from a bottle, and accidentally gets his head stuck inside. The black kitten plays with the pepper shaker, sneezing after he spills too much. One sneeze sends him flying backward into the red kitten, pushing him fully inside the milk bottle. The black kitten attacks the pepper once more, and sneezes powerfully enough to send him flying into the bottle just as the red kitten has escaped. The kittens finally leave the kitchen to explore further, and end up in a nursery, delighted by the toys they find. The black kitten, however, has a bad run-in with a jack-in-the-box, and hides inside a pillow. A feather pops out, and the kitten follows it, chasing it all through the house. He chases it over the keys of a player piano, and accidentally sets off the mechanism, which plays a song called “Kitten on the Keys.” When the other kittens join him on the instrument, they are overwhelmed by the actions of the player piano. Their antics finally alert the housekeeper, who catches them and attempts to throw them out in the snow, when the little girl of the house asks to keep them, saving them from being thrown out into the snow. 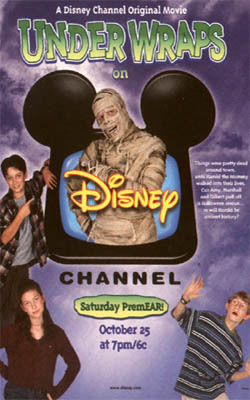 On October 25, 1997, the Disney Channel Original Movie (DCOM) Under Wraps debuted on the Disney Channel. It was the second DCOM to be labeled as such. The film was written by Don Rhymer, and directed by Greg Beeman. It starred Mario Yedidia as Marshall, Adam Wylie as Gilbert, Clara Bryant as Amy, and Bill Fagerbakke as Harold. 12-year-old horror film fan Marshall, along with classmates Amy and Gilbert, discover a mummy in the basement of a house, who comes to life thanks to the moonlight. The three become friends with the mummy, naming him Harold, after Marshall’s uncle, and decide that Harold will live with one of them. They discover that Harold needs to be put back in his coffin before midnight on Halloween, or he will turn into dust. The trio discovers that Harold’s sarcophagus is on display at the museum at the Egyptian exhibit, and attempt to come up with a plan to get him back before the deadline. Posted in Uncategorized and tagged 1990s, Disney Channel, Feature Film, Live Action, Television. Bookmark the permalink.